iMyFone TunesFix is a comprehensive iTunes repairer program that can help you to repair and fix all iTunes issues and errors. TunesFix can really come in handy to fix iTunes errors and issues with a little effort on your side. It can diagnose the issues by itself and gives you the trouble-free fixes. TunesFix also helps you to clean iTunes and free up hard disk space through its Quick Clean and Deep Clean Features. Apart from these, iMyFone TunesFix can provide you with an efficient way to uninstall iTunes. Actually, iMyFone TunesFix is not a single iTunes repairer, but also works as a perfect iTunes cleaner and uninstall tool. It helps in handling everything you need with iTunes. Auto-diagnose iTunes issues for free and provide the corresponding fixes! 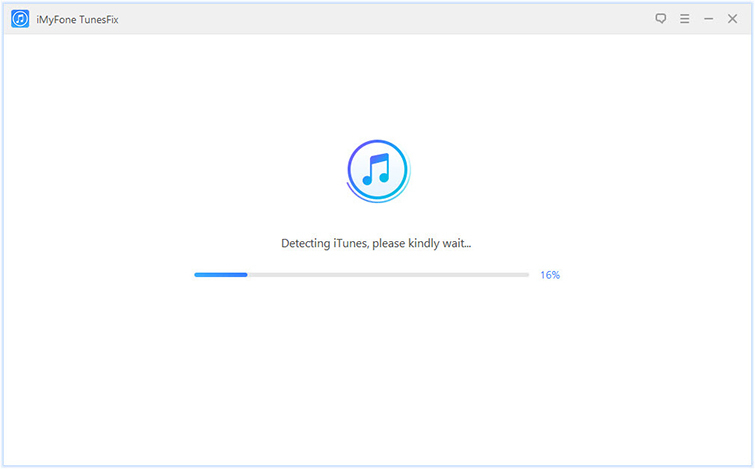 Repair all iTunes unknown errors and issues without a hassle, including connection, update, running slow, restore, backup, and other problems. One-click smart feature lets you repair without data loss. Clean iTunes in one place, like media, old backups, used updates, cache, cookies, and other junk files. Uninstall iTunes and component software efficiently without errors. It promises no iTunes data will be influenced while repairing. It helps cleaning unwanted files both from iTunes library and iTunes related folders, which boosts both iTunes and PC performance. TunesFix will detect your iTunes by itself, you don’t need to know what kind of issue you bear. All most all the unknown errors and issues can be fixed in just one click. It runs fast no matter to detect, repair, scan or clean. For example, it took about 1 minute to deep scan my iTunes, and took about 1.5 minutes to free up 75GB space. Its free trial will detect the iTunes issues. If you want to repair it, you need to pay for it. But it’s not expensive, it deserves the price. It does not fix the issue “iTunes cannot read the contents”. When Do You Need iMyFone TunesFix? If you’re getting error messages like “iTunes could not connect to iPhone”. If iTunes won’t sync with iPhone, iPad, or iPod touch. If iTunes suddenly stopped working, crashes or becomes unresponsive. iTunes failed to update, install or uninstall on a Windows PC. If iTunes was not properly installed on a Windows machine. If iTunes won’t open dues to missing Application Support. If iTunesHelper is not installed correctly. If iTunes could not backup or restore iPhone data. If iTunes is showing unknown error messages or notification. 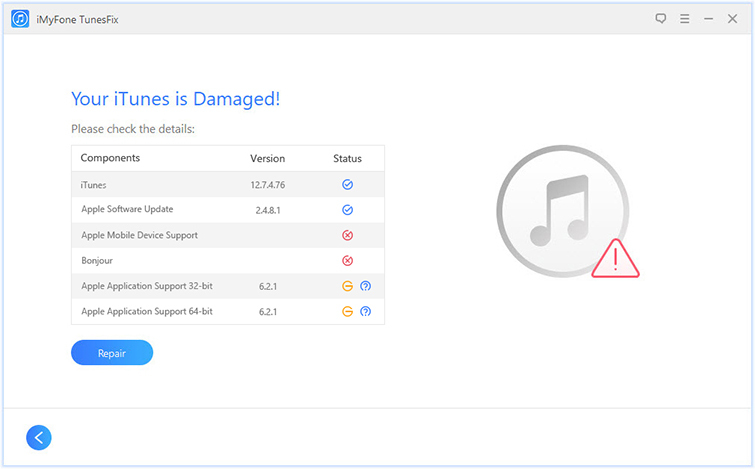 Note: If your iTunes is damaged, it will show you the details. You can simply click “Repair” icon to start fixing it. Step 2: On the home interface, you can see 4 repair modes, 2 cleaning modes and 1 uninstall module. 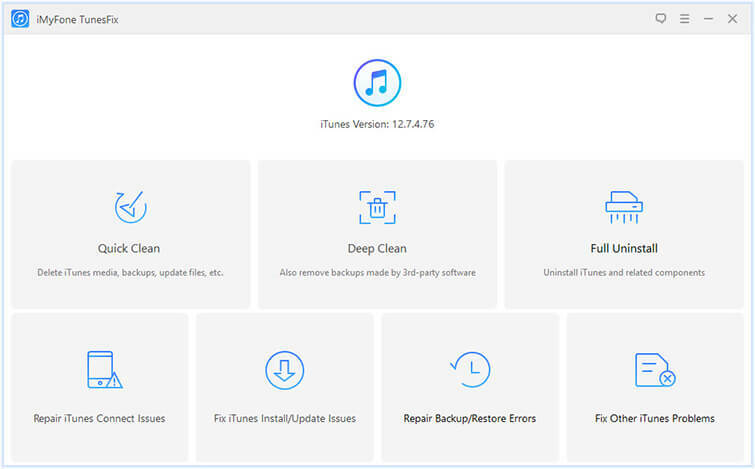 In this case you want to fix iTunes issues, choose one repair mode (Repair iTunes Connect Issues, Fix iTunes Install/Update Issues, Repair Backup/Restore Errors or Fix Other iTunes Problems) depending on the specific error you bear. Step 3: Click “Repair” and ensure you keep your internet stable.It won’t take long to fix your iTunes. Tenorshare TunesCare is the only alternative to iMyFone TunesFix. As an iTunes repair tool, it can repair iTunes not working, update errors, install errors, restore errors, and other iTunes errors. 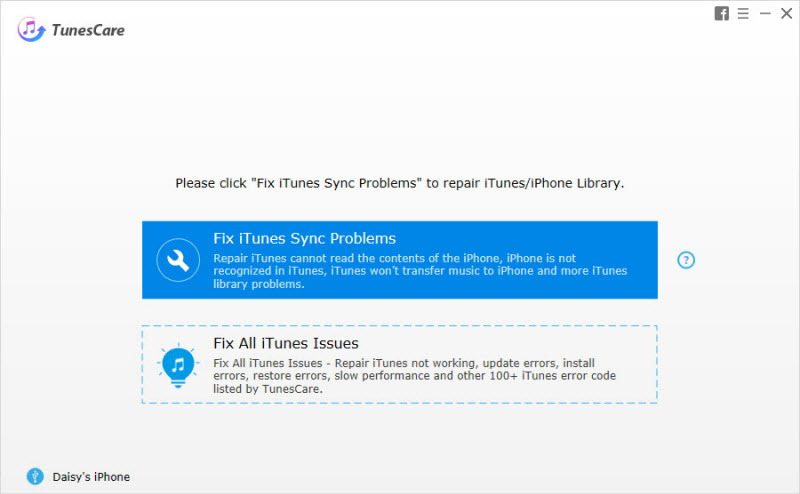 TunesCare does not only repair iTunes, it also boosts iTunes performance, solve iOS device system problems, and give you better experiences while using iTunes. It’s featured in one-click function to fix iTunes sync error. Fix most iTunes errors and issues as the software developers claimed. Promise to boost your iTunes performance in just a few clicks. It only works as an iTunes repair tool, without other important features. It can boost iTunes performance by fixing issues, but cannot remove damaged/corrupted files from iTunes. 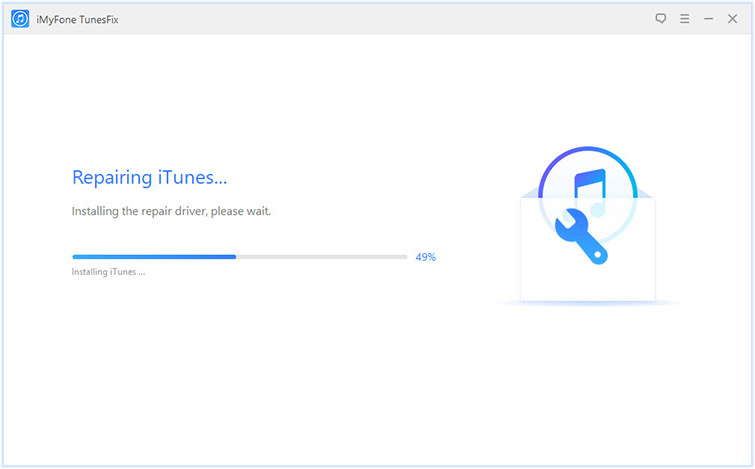 It won’t detect your iTunes before repairing, so its fixes are general instead of specific for the given issue. In all, iMyFone TunesFix is a professional iTunes repairer for fixing corrupt iTunes library and other issues. TunesCare, on the other hand, is an alternative software to TunesFix that perform a similar function but with fewer features.